12 photos of warships at the base, which closed in 1995. Lowland Lancer, Weymouth, 1990. Formerly RFA Sir Lancelot. 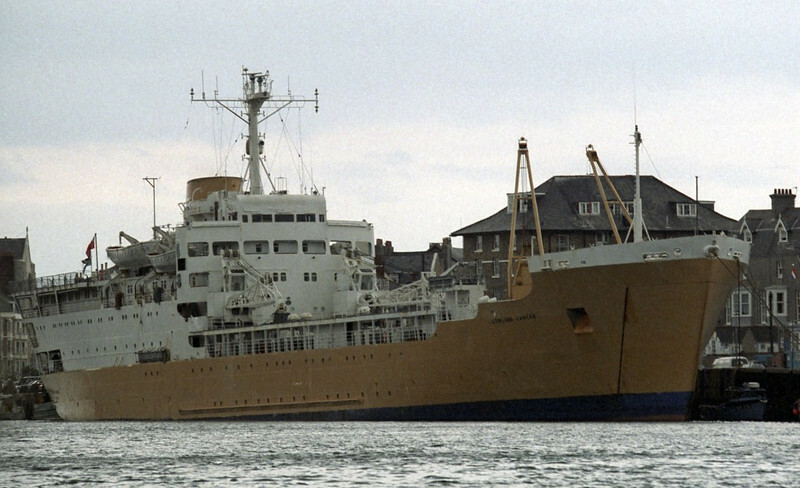 The Falklands veteran was sold in 1989 and is seen during a short period when she worked as a ferry between Weymouth and Cherbourg. In 1992 she was sold to the Singapore Navy and commissioned as Perseverance. In 2003 the ship was sold again becoming Glenn Braveheart, finally going for scrap in 2008.